Chapter 22C-4 requires that each county establish a solid waste authority. A solid waste authority is a public agency whose responsibilities include creating and adopting a comprehensive litter and solid waste control plan, as well as adopting a plan for the approval of and exclusion of solid waste facilities within that authority's jurisdiction. A solid waste authority is empowered to - but not obligated to - engage in the actual delivery of municipal solid waste management services. The Code further enables counties to join together to create a regional solid waste authority. From the onset, the counties of Grant, Hampshire, Hardy, Mineral and Pendleton agreed to join together to collectively address the many solid waste - related matters all had in common. Thus, the Region VIII Solid Waste Authority was created. We have operated as such since 1975. 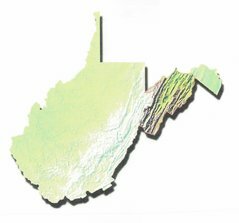 We are one of only two regional solid waste authorities in West Virginia. The other is a two county authority. Appointment terms are staggered. Terms are four years. Back in the mid - 1970's, the mayors and county commissioners in our five counties - faced with the iminent closing of community "open dumps" by the State - decided to create a regional solid waste authority to address the municipal solid waste disposal problem on behalf of each local government. This innovative approach would create a single entity to deal with the waste disposal problem that each local government would otherwise have responsibility for. In the ensuing years the Region VIII Solid Waste Authority would gain national recognition for this cooperative, intergovernmental approach to rural waste management. Originally a branch of the Region 8 Planning and Development Council, the Authority in the early 1980's reconstituted as a separate and independent agency of local governments. Working with the West Virginia Legislature on statewide issues, the Authority made a considerable contribution toward the content of legislation which created the Solid Waste Management Act. This Act - passed in 1988 - consolidated and strengthened existing solid waste rules and regulations and, among other things, mandated the creation of solid waste authorities as described above. The description of a regional solid waste authority was based largely on the structure of the Region VIII Solid Waste Authority. The principle mission of the Authority has always been to provide local, State - approved locations for our citizens, businesses and industries to dispose of their non - hazardous solid waste through collection services as provided by the private waste collection companies in the region or through direct transport to us. The Authority opened our first sanitary landfill near Romney, Hampshire County in 1976. Subsequent landfills were constructed, opened, filled, then closed in Pendleton County, Hardy County and Grant County. Our two most recent landfills - near Romney and Petersburg - have been "capped" through the Department of Environmental Protection's Landfill Closure Assistance Program. With the passage of new, very stringent landfill construction and operating requirements, the Authority expended considerable effort researching the practicality of establishing a "new generation" sanitary landfill in and for the five Region 8 counties. The preponderance of information showed that it would be difficult for the five county region to support a new landfill without having to import solid waste from sources outside the region and the state. The rest of West Virginia and our adjacent states were also wrestling with the difficult issue of where to site "new generation" landfills. The State had mandated that we close our existing landfills and the Authority was determined to continue to provide this vital service to our constituents. We concluded that the most prudent decision would be to establish transfer stations - to keep our solid waste stream "on wheels" - enabling us to have the flexibility to utilize the most practical disposal site available. We decided to create two solid waste transfer stations, to be built adjacent to our two closing landfills and designed to accomodate the same service areas as those landfills. It was a seamless transition, as certificated haulers and individual customers simply came to the same location as always. There was no public opposition to the creation of these two new solid waste facilities. Copyright © 2018 REGION8SWA.ORG. All Rights Reserved.